A person rolled a marijuana joint. Still, for marijuana companies hoping to get in on the ground floor of the lucrative, newly legal industry, that means more than half of the state’s municipalities are off-limits as they scout for locations this spring. For consumers, this means that only a handful of pot shops are likely to be open in July, when state officials have promised the recreational market will debut — most likely, existing medical dispensaries that win a recreational license. For the state, it could mean falling short of the $44 million to $82 million in annual revenue it expected to collect from the 17 percent tax on pot sales. And with more municipalities considering bans and moratoriums, the marijuana industry’s fortunes may decline before they improve. Local officials defended the restrictions, noting that most will ultimately expire. They say communities must be allowed to chart their own courses and need time to set up zoning. Although 54 percent of Massachusetts voters approved Question 4, the 2016 ballot question legalizing marijuana, proponents of marijuana have fared poorly in local votes on proposed bans and moratoriums: All but a handful have passed. In municipalities where voters supported the 2016 ballot measure, implementing a ban requires a communitywide vote. In cities and towns where voters opposed legalization, elected bodies such as town councils or boards of selectmen can impose a ban without polling residents. The 59 municipal bans mark a sharp increase from July 2017, when a Globe review identified just 29. The number of moratoriums also jumped, from 70 to 130. 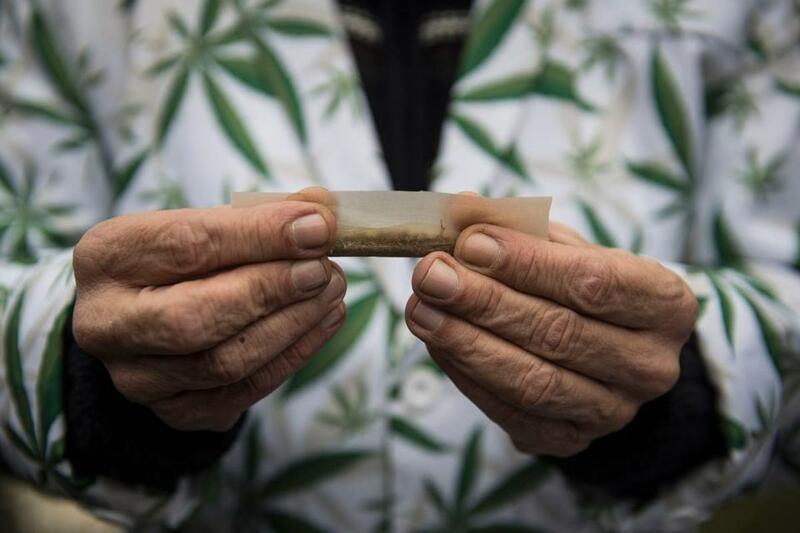 Observers noted that local politics generally attract older, more conservative voters, and said some residents may have favored legalization in the abstract but feel differently about welcoming a pot shop to their community. “There are definitely people who say, ‘Yeah, I want it legal, but I don’t want it next door,’ ” said Adam Chapdelaine, the town manager of Arlington, where residents will soon vote on whether to extend through December a moratorium that was due to expire in June. Other communities, such as Lawrence, have implemented bans over fears that adding marijuana to the mix will exacerbate their opioid problems. Elsewhere, local officials have cited the prospect of upticks in stoned driving and youth drug use, or simply remain opposed to legalization in the first place. Prospective marijuana business owners decried the proliferation of local restrictions. Between the high rents in urban areas and the bans in many smaller communities, they fear the emerging market will favor large, well-capitalized companies that can afford to hire consultants to identify promising parcels and then pay rent or taxes on them during time-consuming approval processes. Sean Berte, a Boston entrepreneur who’s eligible for a head-start in the state licensing process because he was previously incarcerated for growing and selling marijuana, has long dreamed of opening a legal cultivation facility. But he said he was discouraged by the swath of communities with restrictions along Interstate 495, where he could afford real estate. Instead, Berte will try to open a retail pot shop in Boston, which has no ban. But even there, proposed zoning rules mandating a large buffer between stores could make it difficult to find a site. He’s also worried that the local restrictions elsewhere in the state will limit the number of cultivators, making it hard to find a supplier. Chapdelaine and other local officials said they backed moratoriums because they were waiting for the state Cannabis Control Commission to finalize regulations and wanted to include residents in a conversation about where marijuana facilities belong. “For us, it was just about planning and figuring out how we should regulate these businesses,” Chapdelaine said. Ryan O’Malley, a city councilor in Malden, added that most Malden residents support allowing marijuana firms, and that he hopes the revenue they bring could help the city replace lead pipes and address other problems. The cannabis commission submitted its final rules last week and on Friday issued updated guidance to cities and towns affirming their critical role in the process of licensing marijuana businesses. “There’s a lot of local control, and that’s really going to dictate how quickly this market unfolds,” said David Torrisi, executive director of the Commonwealth Dispensary Association, an industry group representing medical dispensaries. Cities and towns that haven’t implemented formal, indefinite bans cannot use overly long moratoriums, zoning rules, bylaws, or other “unreasonably impracticable” measures to effectively prevent marijuana companies from locating within their borders, according to the commission. They also cannot demand unlimited payments from operators, a problem that’s bedeviled the state’s earlier medical marijuana program. However, municipalities can require special permits and a separate, local application process. Prospective marijuana businesses must also host a community meeting to take questions from residents and negotiate a “host community agreement.” with the city or town. Marijuana businesses and their attorneys said that a company confronted with unreasonable local demands is more likely to simply move on to another community than sue its future host city or town over the matter, giving municipalities an advantage in negotiations. And proponents say they’re already hitting such speed bumps, including municipalities that have confined marijuana companies to tiny industrial districts on the edge of town, or have implemented large buffers around schools and day cares that, drawn out on a map, cover nearly all of their territory. Kamani Jefferson, president of the Massachusetts Recreational Consumer Council, said he was optimistic that the finalization of state regulations would prompt cities and towns to replace their moratoriums with zoning. He also said he’s counting on an underwhelming recreational rollout to galvanize pro-marijuana consumers against further local bans, noting that many local restrictions were implemented at sparsely attended hearings or through low-turnout, off-cycle referendums. “I’m hoping it gets the people who want a store in their area more active in terms of asking, ‘What’s taking so long and what can we do?’ ” he said. Matt Rocheleau of the Globe staff contributed to this report. Dan Adams can be reached at daniel.adams@globe.com.